WESTCHESTER, Ill., November 12, 2018	(Newswire.com) - ​Follett Corporation, operator of more than 1,200 official on-campus stores and one of the nation’s largest retailers of college licensed merchandise, has launched an innovative new apparel customization program at its University of California Berkeley store. 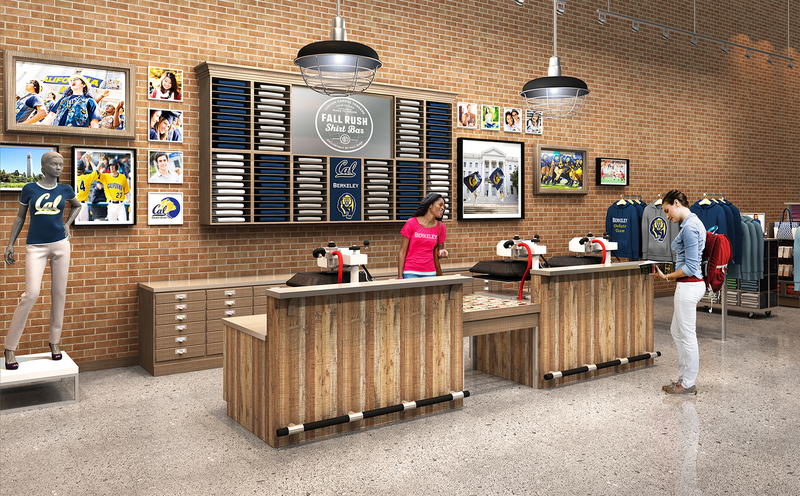 Marketed under its Fall Rush private label brand launched earlier this year, the Shirt Bar allows in-store customization of UC Berkeley and Cal Athletics officially licensed apparel with over 20,000 possible design combinations. Follett Corporation is the world's largest single source of books, entertainment products, digital content and multi-media for libraries, schools and retailers. Headquartered in Westchester, Illinois, Follett provides education technology, services and physical and digital content to millions of students at 70,000 schools more than 2,850 physical and virtual campus stores in North America.